There is nothing more delicious in summer than crumbles with seasonal fresh berries. 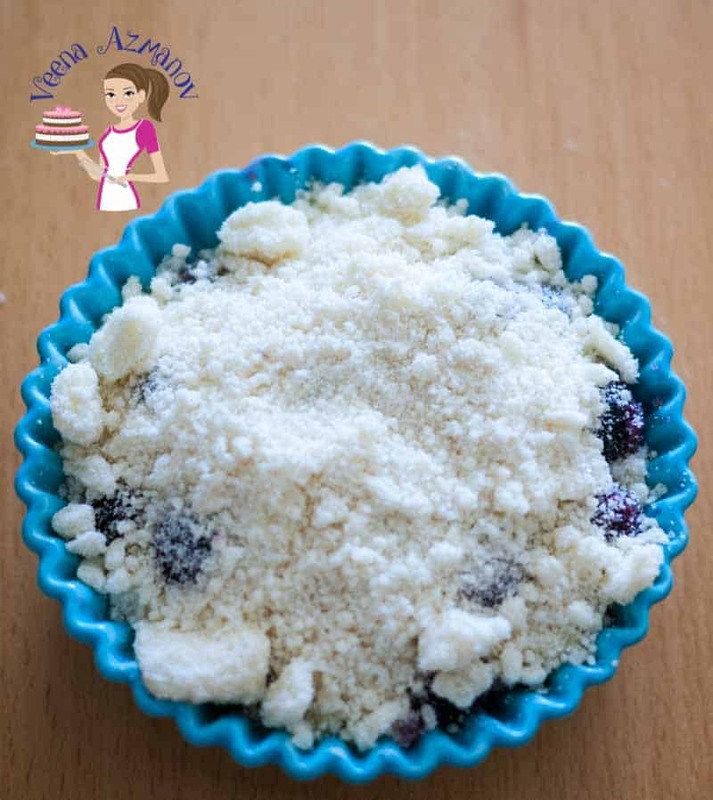 This simple, easy and effortless recipe for a blueberry crumble takes five minutes to prepare and 30 minutes to bake. And you can serve this warm or cold on its own or with whipped cream. Also, try it with a scoop of ice cream for that indulgent treat. Are you enjoying all the summer fruits in season this year? Or shall I say are you taking full advantage of all the fresh fruits and veggies in season? Blueberries have got to be one of my favorite fruits. Not just because they are so healthy but also they are tart and sweet all at the same time. 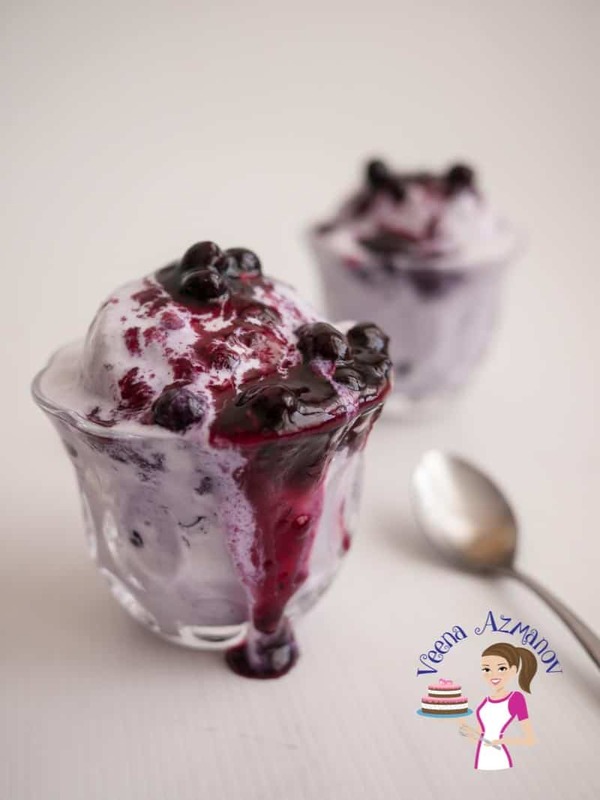 During the year I often use frozen blueberries but fresh… now that’s something else ! Isn’t it? Unfortunately, whether I get them fresh or frozen they are so darn expensive here. We still buy when possible but not as much as when we were in the US. I remember I’d add a few blueberries every morning with my cereal. One of the reasons I love berry crumbles is this. Look at that thick tart yet sweet chewy fruit syrup. Next, look at the crisp buttery bits of crumble on the top. Now imagine a spoonful of that syrupy fruit with the crispy crumble that just bursts in the mouth. There’s a mouthful you cannot resist. Explosion! A fruit crumble is really the easiest dessert you can make in summer with any fruit. Berries and stone fruit such as peaches, apricots, and apples are always a big hit. What is the difference between cobbler and Crumble? Both are baked fruit desserts. A cobbler uses dollops of biscuit dough or pie dough topping, which often when baked looks very similar to a cobblestone. 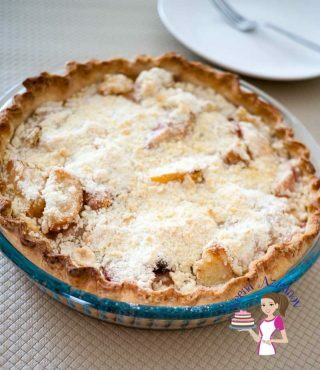 A crumble uses a streusel-like topping made of flour, sugar, and butter with the addition of nuts. What is the difference between crumble and crisp? 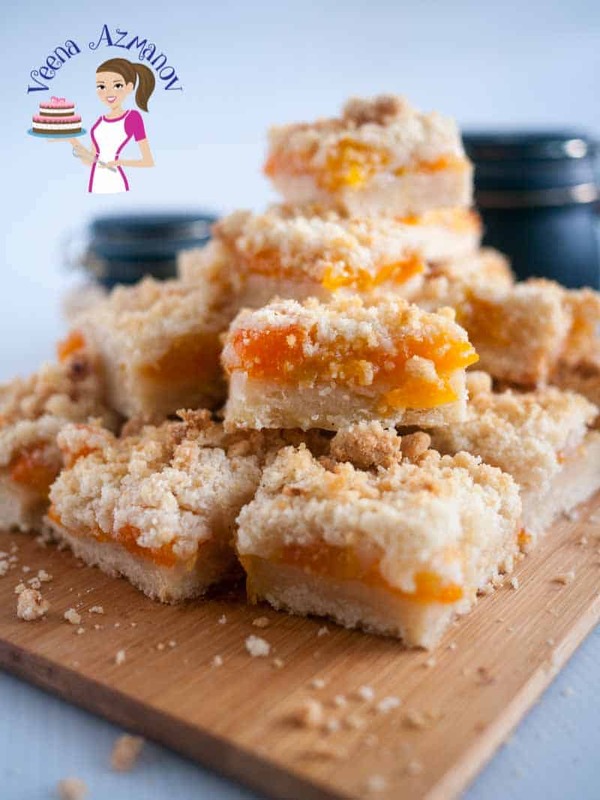 Again a crumble and a crisp are also both baked fruit desserts and both use a streusel topping made with butter, sugar, and flour. And yet, a crumble uses an addition of nuts while crips use rolled oats. These oats become crisp and flaky when cooked while the crumble topping is cakey and dense. 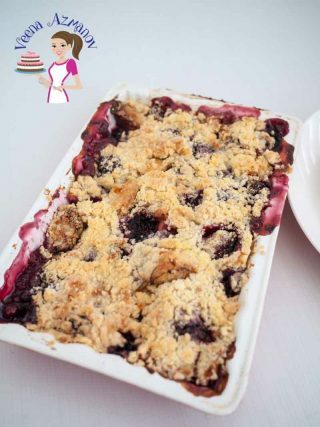 How to make the perfect crumble topping? The perfect crumble topping is in the ratio of flour, sugar, and butter – Two parts flour, one part butter and one part sugar works every single time. 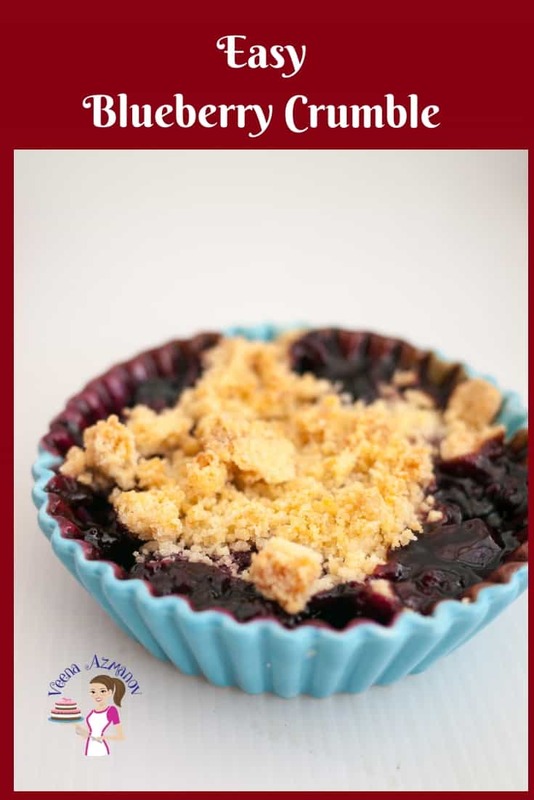 Blueberries – This crumbles work with fresh or frozen. If using frozen you can keep the amount of sugar unless they are sweetened. Some brands use sugar as a preservative, so read the label, please. Sugar – I like using a mix of white and brown sugar. The white adds sweetness and keeps a beautiful white color while the light or brown sugar brings with it the flavor of molasses, which when combined with the cinnamon or nutmeg is an absolute luxury. Unsalted Butter – I always use unsalted because I like to control the amount of salt I use. If you use salted butter that’s fine. Just omit salt in the recipe. Margarine or veg shortening works as well, and yet they both will affect the texture of the crumble. Since margarine has a bit more liquid so you may need to use a tad less. While vegetable shorting will make the crumble topping crisper. 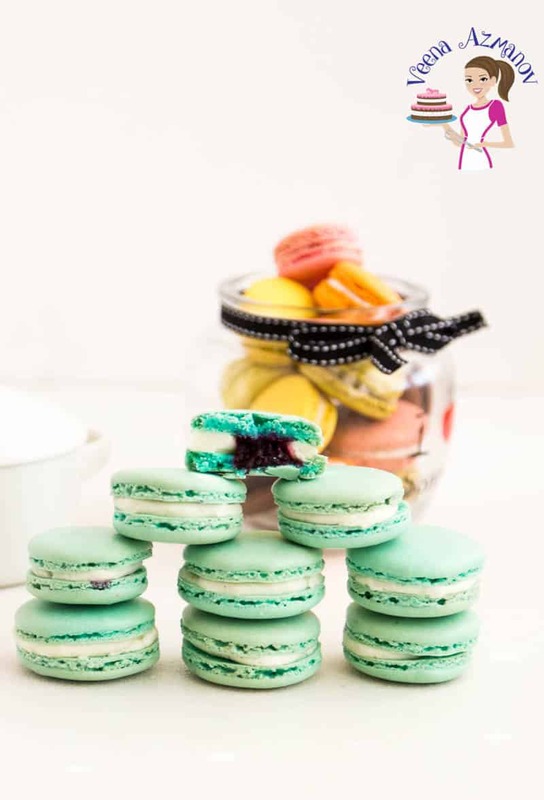 Cornstarch – Blueberries are juicy and the cornstarch helps thicken the juices giving you that thick syrup like consistency rather than a pool of liquid. 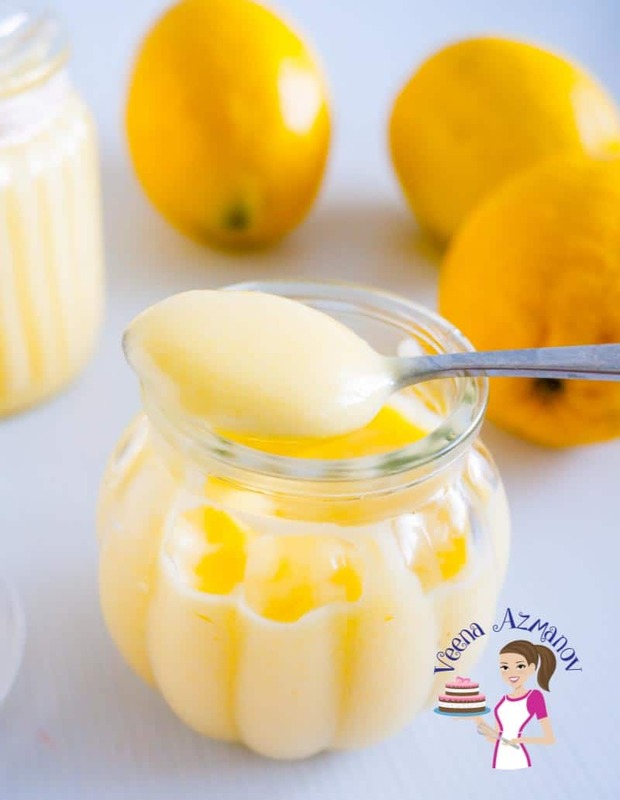 Vanilla – Always use good quality vanilla in your recipes. It makes a huge difference in flavor. I like to make a homemade vanilla extract or homemade vanilla bean paste. In desserts like this, I will often also use my homemade vanilla sugar. Spice mix – There are so many flavors you can add. Like pumpkin spice or gingerbread spice, cinnamon, and nutmeg. I admit that when it comes to crumble, I often prefer the fruit to shine. So I usually add just a pinch of cinnamon and a grating of nutmeg. 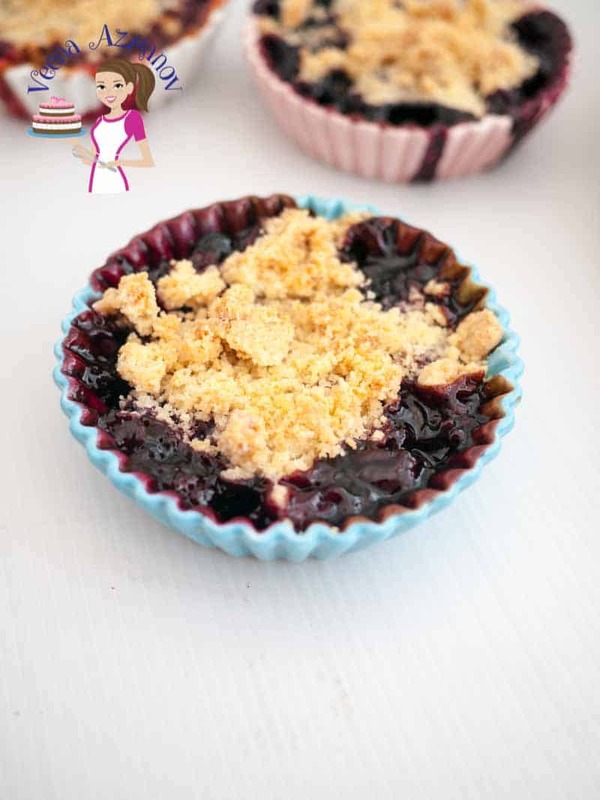 You can bake this as one crumble in a single Baking Dish or into four individual servings baked in individual ramekins. The pastry blender is also a great tool to have if you plan to make crumble often by hand. I love using my food processor. It takes minutes and the butter is evenly distributed giving you a nice uniform bread crumb consistency. A Bowl to mix the fruit and ingredients together. Wash blueberries if using fresh – drain and pat dry so you don’t have excess water. Add sugar, lemon juice and set aside. In a food processor bowl – add flour, nuts/oats, sugar, salt, vanilla, spice, and butter. Pulse a few times – until crumbly but not too much. Keep the bowl in the fridge to stay cold if necessary. 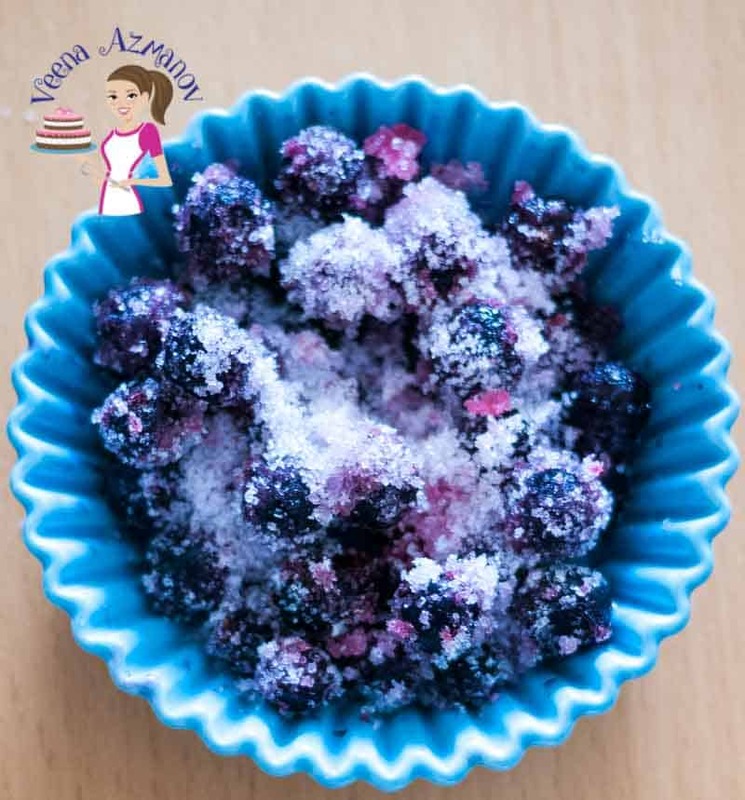 Preheat the oven to 170 C / 340 F.
Add blueberries sugar and cornstarch – stir to combine. 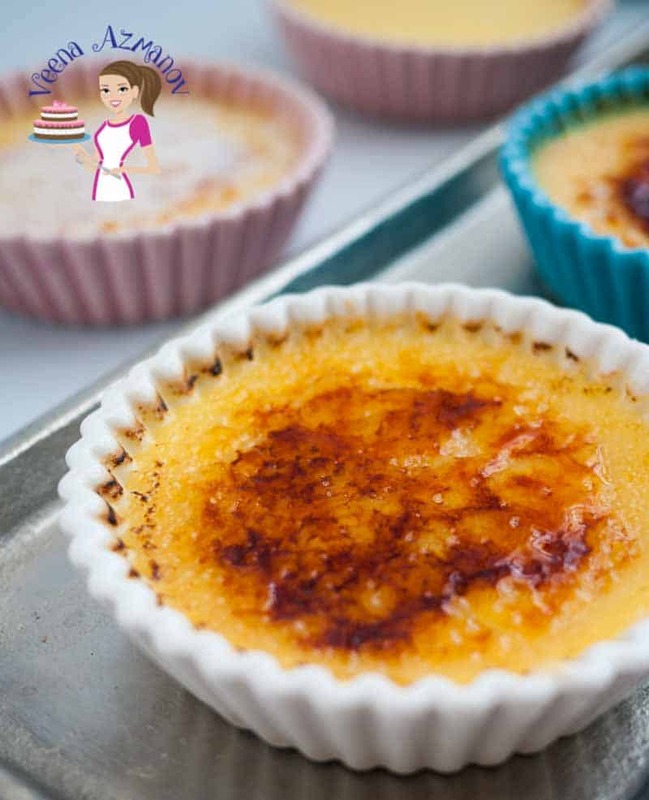 Grease the bottom of a baking dish or ramekin with butter. Pour fruit mixture into the baking dish. Top with the crumble topping generously. Bake in a preheated oven for about 30 to 35 minutes. The top will be golden and be bubbling. 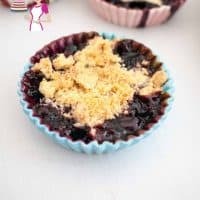 Can I make this blueberry crumble in advance? I love baking the crumble fresh, so the topping stays wonderfully crisp. And yet, you can make this crumble in advance. Cool it completely before you wrap it well and place it in the fridge. 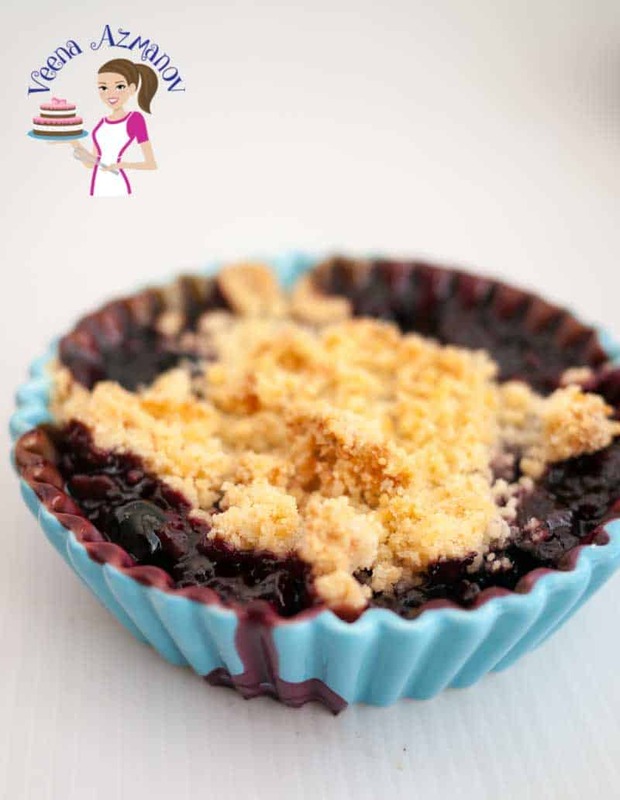 How can I reheat the blueberry crumble? Just a few minutes in the microwave will bring it back to it syrupy goodness. Then a few minutes in the oven will help crisp the streusel topping as well. Can I store extra crumble mix? Yes, you can store any extra crumble mix well wrapped in a freezer bag (to prevent ice crystal) for up to 3 months. Why did my crumble topping melted when baked? It is very tempting to add more butter in the crumble topping, but too much butter will blend the mixture of flour and sugar. Creating the perfect crumb with flour and sugar requires that you do not add too much butter. Ideally, a ratio of 1:1:2 works best – One part butter: one part sugar: two parts flour. I always make an apple crumble but not a blueberry one. Your version looks amazing, I’ll have to try it. I also love when it is fresh berry season. For the past few summers we have gone blueberry picking with my girls and they just love it. 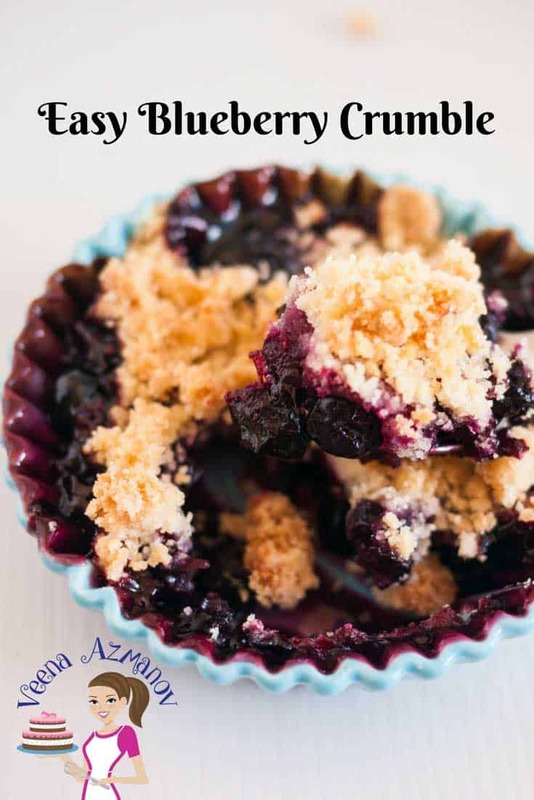 Looking forward to picking some this summer to make this yummy blueberry crumble. I love the thought of going blueberry picking with my kids. Here were have to buy them in the supermarket and so expensive Kelly. I don’t think I could love this recipe more than I do! So easy and so yummy! Thank you, Cindy. Happy to hear that. We love blueberries here too! We have three bushes in our backyard and I am saving this recipe for them, it’s perfect! Thank you, Pam. So lucky you have them growing at home. These are so expensive here. This is making me feel nostalgic for cosy Sunday dinners with family! Definitely a must make next time I’m entertaining! Talk about easy and adorable! 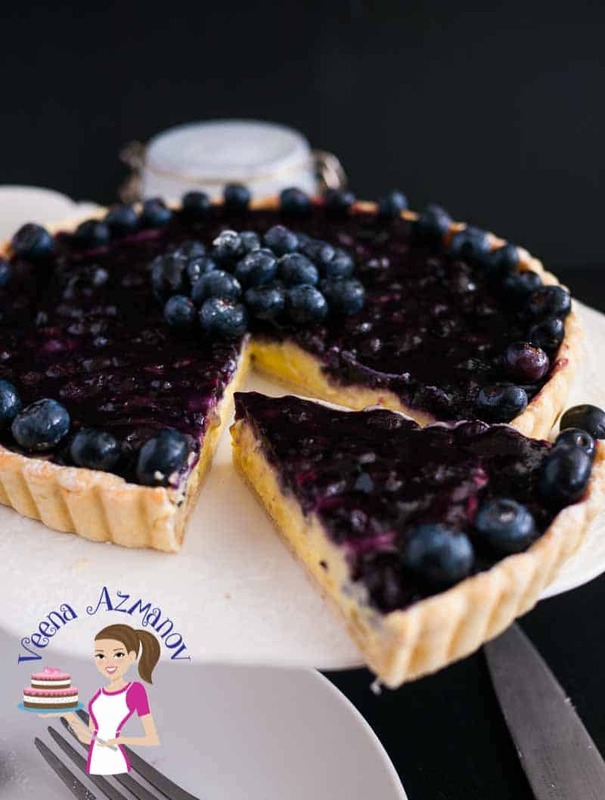 I love blueberries and this recipe is so easy to make and so perfect. Crumble desserts are the best! Always great with a scoop of icecream. Definitely great with a scoop of ice cream. 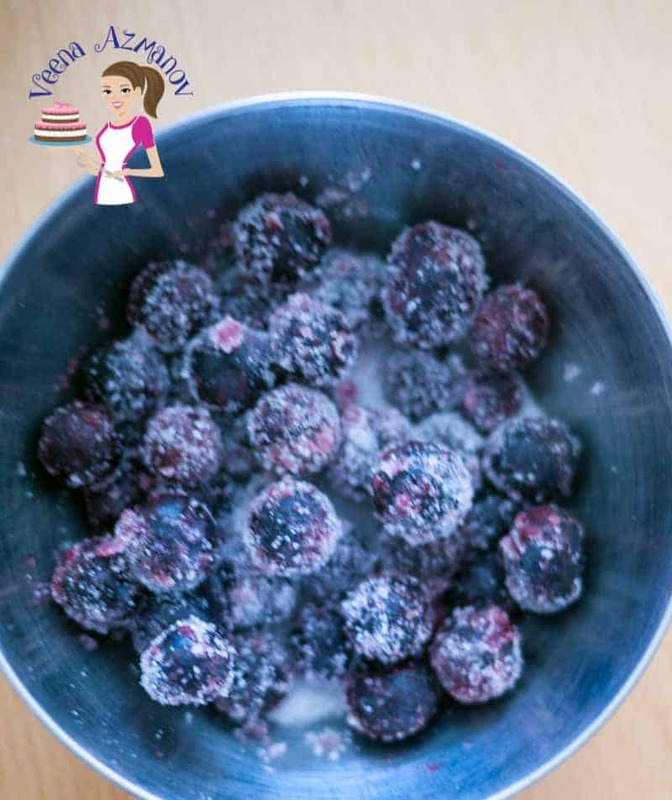 Blueberry season is on and i was looking for easy delicious recipes for my kids using this berries. Great and for the breakfast and for the dessert! Thank you, Ruchi. Kids definitely love this. Ah so true Kryn. Make a delish cobbler.. forget the muffins. ha…!! 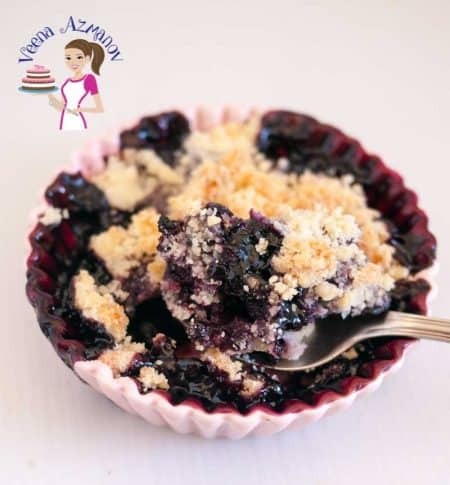 What a lovely way to present a blueberry crumble in an individual serving super easy and using fresh blueberries that are now so abundant in the market. Perfect for summer entertaining. This is the perfect summer dessert! My fiance’s dad is growing blueberries this year and brings them to use all the time – gonna try this next time he stops by! Thank you, Lauren. I wish I had blueberries growing closer. We get them so expensive here. 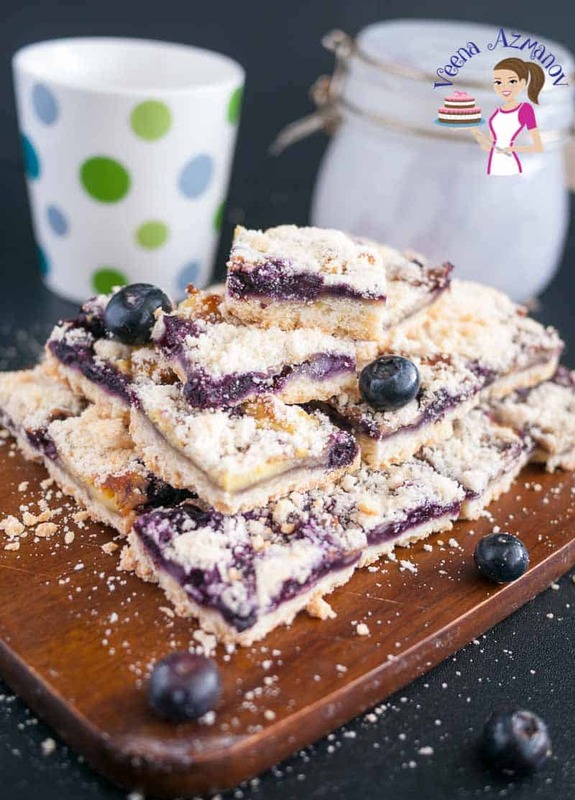 That is such an inviting and delicious looking blueberry crumble. It sounds so easy to make too. Great summer time treat. Thank you Pavani. I hope you try it. 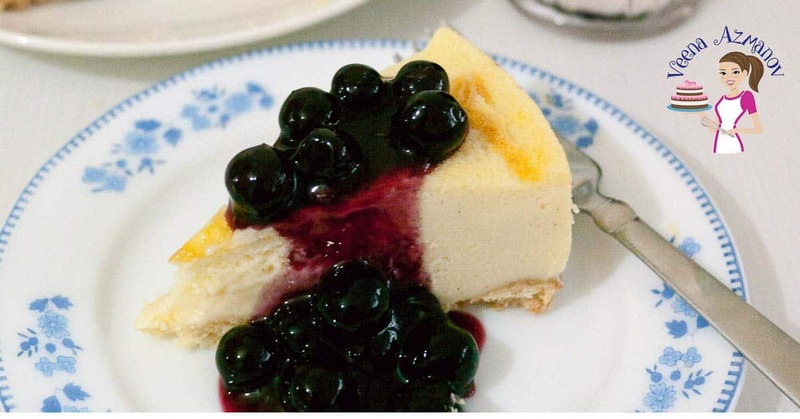 I love blueberry anything but this looks so easy thats another bonus. I love making a dessert that doesnt take all day to do and look this good! Me too!! Love blueberry anything. What a great looking dessert. Luckily it’s now blueberry season here. I didn’t want to use my blueberries just for muffins. This is so much better. Wow…how delicious does this look. My husband LOVES crumble, and I LOVE blueberries. It’s a win for both of us. This would be perfect for the BBQ parties this summer too. I love easy dessert recipes like this. This is a perfect summer time recipe! Thank you Arlene.. I know right?